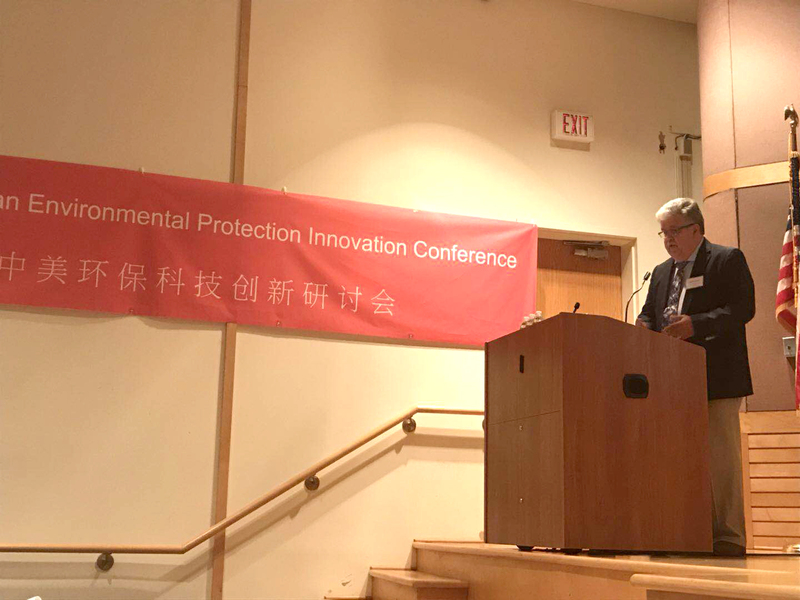 The Chinese Association for Science and Technology USA Greater New York (CASTUSA-GNY) and the Chinese Environmental Scholars and Professionals Network (CESPN) jointly hosted the inaugural Sino-American Environmental Protection & Innovation Conference at Rutgers University in New Jersey on August 11, 2018. The purpose of the conference was to provide a platform for professionals in the environmental field and those interested in environmental issues to learn the latest environmental policies of the U.S. and Chinese governments, technological developments, exchange and share related experiences, and to seek career and cooperation opportunities. Dr. Moese gave a presentation on China’s environmental challenges and opportunities as seen from BRISEA’s decades long experience in the Chinese business and market. He presented on topics such as hazardous and solid waste, air and soil contamination, as well as how these environmental issues present both challenges and opportunities for industries, domestically and internationally. The conference was an excellent networking opportunity and reinforced prospective opportunities for environmental industries to engage in China’s developing environmental protection field.